I am Sara, a professional freelance hairstylist and I specialise in bridal hair styling and hairstyles for special occasions. I am very passionate about creating beautiful hair styles for brides and bridesmaids that match flawless makeup. I love my job: my aim is to understand the look my clients are trying to achieve and to create hairstyles and makeup which match their vision, to enhance my clients' natural beauty and suitable for the occasion. Most of all, I love to make my clients happy, make them look and feel beautiful. 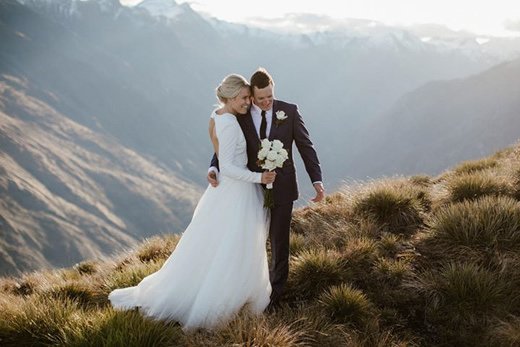 I am very experienced: having worked with thousands of brides on weddings in Wanaka, Queenstown and all of Central Otago region, I have the reputation of providing an outstanding service. You can count on me to be on time, to work well with a makeup artist and other professionals to ensure the day runs smoothly and that you have a relaxing and enjoyable experience. 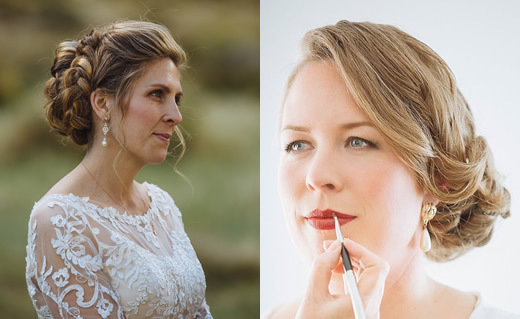 My enthusiasm for creating wedding hair styles and coupled with my creativity and a good eye for detail, make my clients feel at ease and confident that they are in good hands on their wedding day. 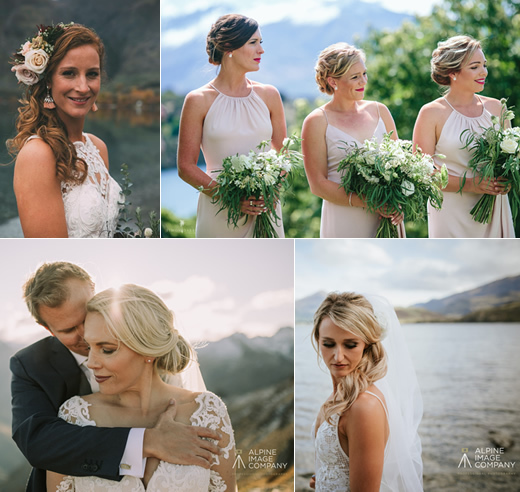 I am based in Wanaka but travel frequently to Queenstown, Cromwell, and Central Otago. 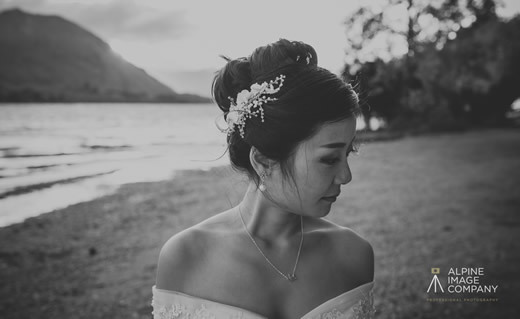 I am mobile hair stylist and I will travel to your accommodation to create beautiful wedding hairstyles in the comfort of your own environment for a totally stress-free pampering experience. ”Sara managed to make my short hair look long and it stayed up all day even in windy conditions! I cannot recommend Sara enough not only for her beautiful hair creations but for the lovely person that she is! She really did play such a special part in the morning of my wedding and I am so thankful for her"
“Thanks so much for the incredible job on my wild curly hair on Friday. You were an absolute delight to have out at the house getting me ready making me and all the girls laugh all morning. My hair style was more beautiful than I ever imagined." “Sara made me feel so comfortable and relaxed, she created the exact look I was thinking of based on my very vague ideas. It was a pleasure to work with Sara on the day." "A massive thank you for your work on my wedding day. You were such a dream to work with, your talented hair skills made me look and feel beautiful all day. Your cool calm manner and sense of humour made for an amazing stress free fun wedding morning. You truly are a gem!" "I loved absolutely everything about my hairstyle, and I've received so many compliments. I will definitely recommend you, Sara!" "My bridesmaids and I were all completely in love with our hairstyles and were super impressed with how talented you are"
"You did a superb job with my hair on my wedding day. You were such a delight, and a calm, wonderful influence on a busy morning!"